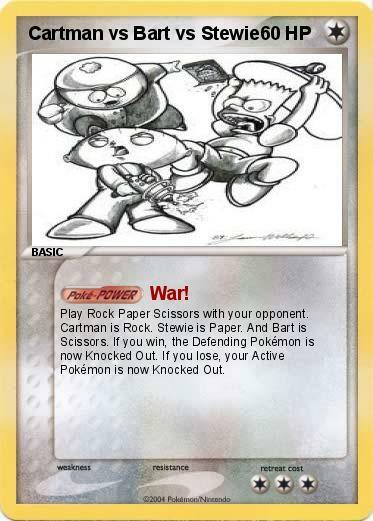 Play Rock Paper Scissors with your opponent. Cartman is Rock. Stewie is Paper. And Bart is Scissors. If you win, the Defending Pokémon is now Knocked Out. If you lose, your Active Pokémon is now Knocked Out.